Many commercial real estate properties still rely on manual meter readings and bill generation as part of their tenant submetering workflow. This is not only slower, there are often errors and discrepancies that are frustrating for tenants and owners alike. In addition, manual processes mean that owners have no transparency into the recovery rates of their cash outlays. Enertiv ATB is designed to automate existing processes and deliver full transparency for every stakeholder. Visualize submetering revenue through visuals that are familiar to property managers and landlords. 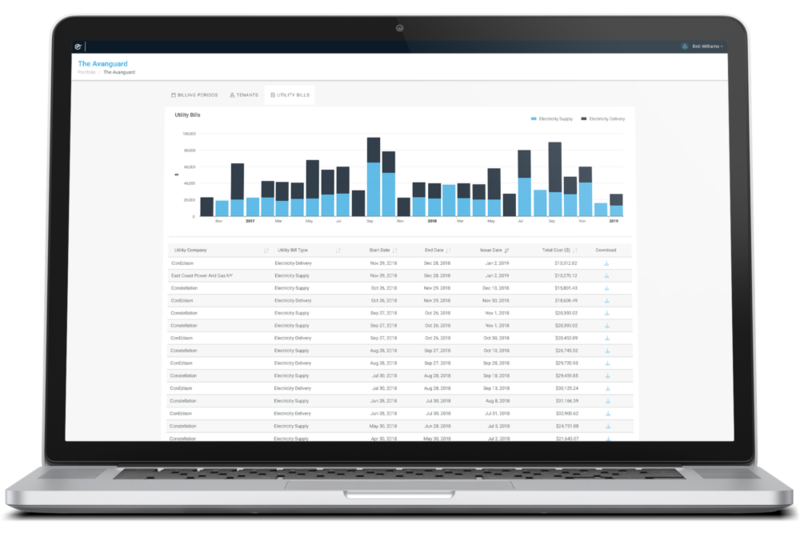 Track revenue recovery in real time and drill down to individual tenants. Save administrative time with automated tenant billing software. Digital utility bills are automatically stored in a central repository. Provide a premium experience by showing tenants real-time transparency into their utility costs. Ensure that you are collecting every dollar owed with full transparency and smart software. Remote meter readings and automated bill generating eliminates human errors that occur during a more manual process. Tenants expect digital billing and transparency into where their dollars are going. Depending on local laws, there’s the potential to purchase energy at wholesale rates and sell at retail rates to generate an additional revenue stream.